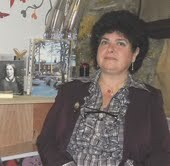 On 21April, 2013, the anniversary of the birth of Charlotte Brontё, the literary association Gli Occhi di Argo and the publisher ALBUSedizioni organized a meeting in Agropoli (SA) with Italian Brontë scholar and translator Prof. Maddalena De Leo who was interviewed and revealed details little investigated in Charlotte’s work, defending her and the other members of the Brontë family against any inappropriate modern hypothesis about their life and work. The readings of some excerpts and critical reviews of Charlotte Brontë’s work were entrusted to the young actress Maria Cristina Orrico and the poet Annamaria Perrotta. In particular, an extensive critical review was read, written especially for the occasion by the writer and poet Eufemia Griffo from Milan. The journalist Francesco Sicilia introduced the event.